Substance and style – that’s the ageless attraction of a house that uses brick. But real brick’s curb appeal can crumble without costly and labor-intensive attention. 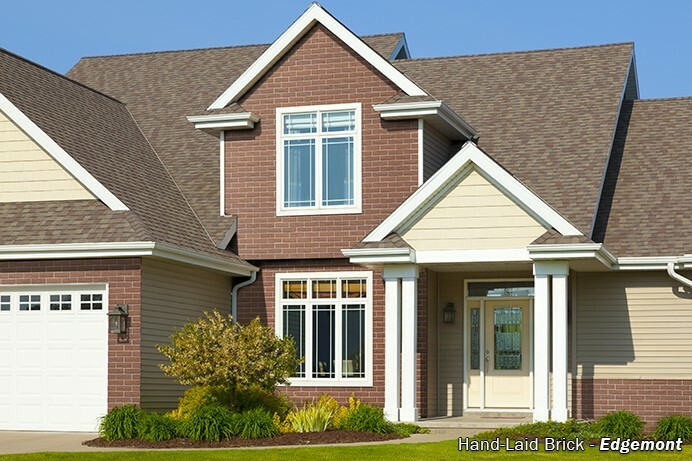 EnterExteria’s Hand-Laid Brick siding, the low-cost, self-sufficient siding alternative with lasting good looks. Now you can enjoy the well-built, authentic look of brick without lifting a finger.